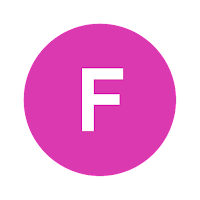 The MTA is recommending that beginning next year half of the F trains running through central Brooklyn run as express trains during the busiest times of day. The express line would run between the Jay Street MetroTech station in Downtown Brooklyn and the Church Avenue station in Kensington. The express line will stop once at 7th Avenue in Park Slope during morning and evening rush hours. The other half of the trains will continue to make all the stops between Jay Street and Church Avenue. If the recommendation is accepted it would be implemented by the fall of 2017. "F express trains would be slightly more crowded than current F trains," the MTA said, "although still within NYC Transit's loading guidelines, while the F locals would be less crowded. There would also be increased stair crowding at a couple of local stations due to larger PM exit surges per train."